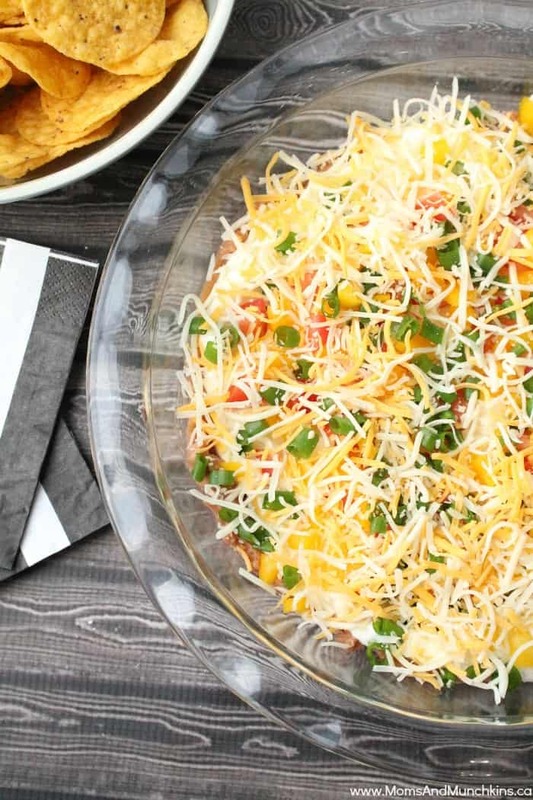 This Layered Ranch Taco Dip takes just minutes to make and it’s a hit at parties. 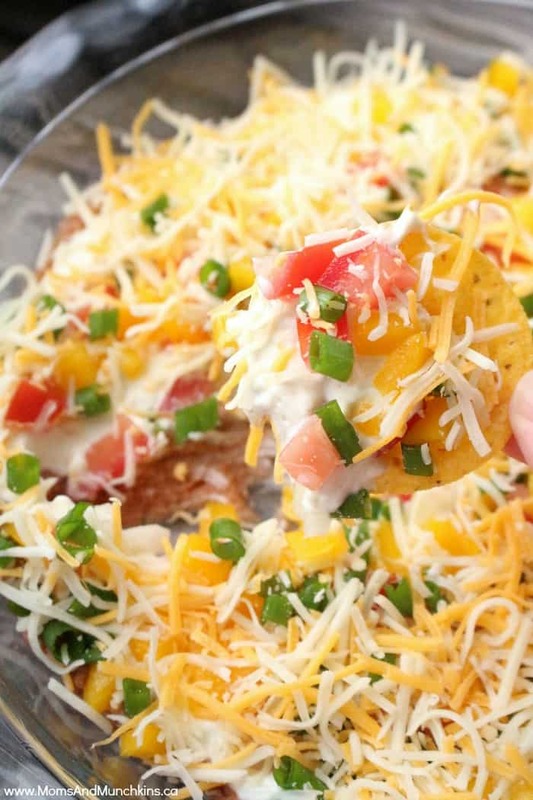 This is a yummy recipe to save for your next office potluck or block party. You can prepare it in less than 10 minutes so that means less time in the kitchen and more time to party! You’ll want to keep it cool so don’t leave it sitting out for too long especially if you’re serving it outside for your summer BBQ party. When it comes to office potluck or block parties, what’s your speciality dish? I usually offer to bring a dessert because I love practicing my cupcake decorating skills. I find that the dips are usually the first thing to go though. That could be a good thing…more desserts to bring home as leftovers! I always add extra vegetables to mine so feel free to load it up with more bell peppers, tomatoes and onions than listed in the recipe below. Spread refried beans in a 9-inch pie plate. Mix sour cream and dressing mix then spread over beans. Top with tomatoes, onions and bell pepper. 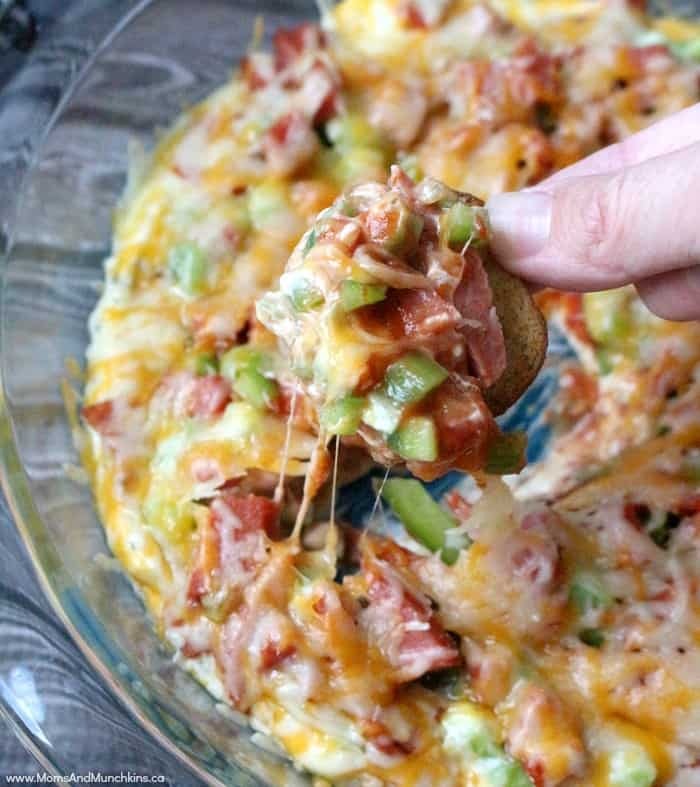 Another delicious dip that all ages will love is this Layered Pizza Dip. 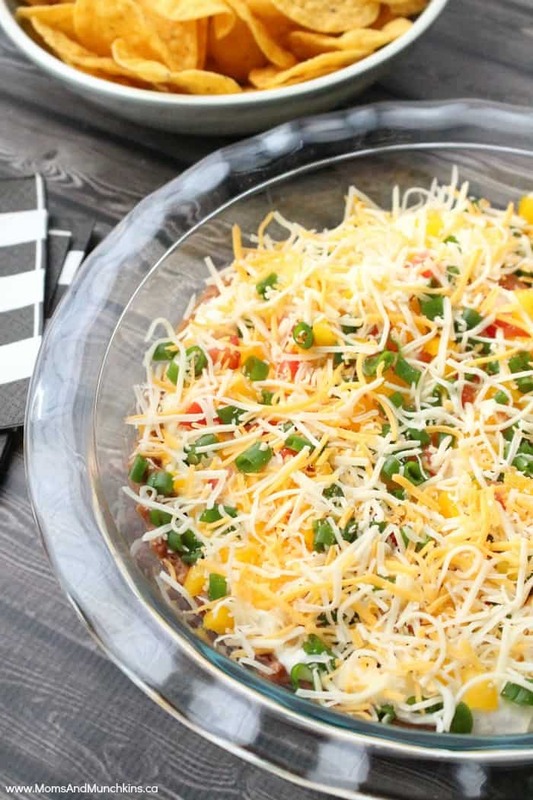 This Layered Pizza Dip is best served warm so you’ll want to serve it to your guests as soon as it comes out of the oven. We’re always adding new tasty recipes and ideas for family fun. Stay updated on the latest by following us on Facebook, Twitter, Pinterest and Instagram.